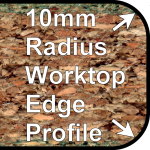 Metal Worktop Profiles is the new category for our collection of metal joining and finishing profiles for worktops and breakfast bars. 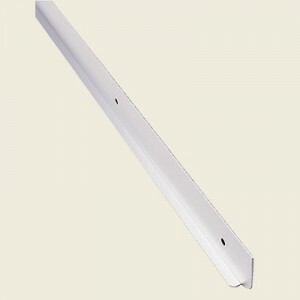 In this category you will find a wide collection of in-line joiners, corner joiners, and end caps for use with 38-40mm worksurfaces. Metal Worktop Profiles provide a quick and easy way to join, mitre and finish many types of worktops. 6mm Double Radius Worktop End Caps, Corners & Joining Trims. 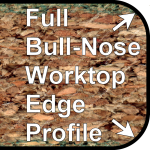 Full Bull-nose Worktop End Caps, Corners & Joining Trims. 10mm Double Radius Worktop End Caps, Corners & Joining Trims. 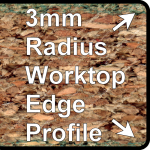 3mm Double Radius Worktop Trims Profiled For Axiom, Duropal, Bushboard Omega & Prima Worktops. 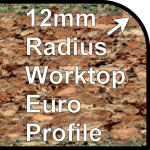 12mm Single Radius Waterfall Worktop End Caps, Corners & Joining Trims. 5mm Double Radius Worktop Trims For Artis, Bushboard Odyssey, Omega & Prima Worktops.